Many of us will have received information or indeed had a telephone call from the representative of a company we have had no previous dealings with. This is not illegal and indeed often the only way such companies can make contact with you. Here we look at what a company can reasonably do to make contact with you and what you can do – as a potential customer – to stop unsolicited calls and mail from them. At one time or another we will have all received one form of marketing from a business we have not dealt with. This is called running a marketing campaign and is designed to attract potential new customers to the business with a view to their making a purchase or engaging them in providing a service. The most common ways in which businesses send out information to potential new customers are through the normal postal system and now – with such advances in technology – electronic mails. Junk mail as it is commonly referred to is unsolicited mail and may come from companies you have spoken to in the past or companies that have simply purchased your mailing details from an outsourcing marketing company. It is not illegal for companies to purchase this information – indeed many thousands of companies do so every year with a view to attracting even just a small percentage of new business. Flyers are regular mailings which contain offers and details of special promotions that these companies are running and indeed are often sent out by high street catalogue chains and supermarkets in the hope of attracting your business. The same is true of electronic mail shots and these are often exactly the same as the information that may come through the postal system but have been scanned and saved to hard drive for mass mailing. We have all had someone call us at one time and ask us if we would spare them a couple of moments to discuss the exciting offers and services they have to offer. 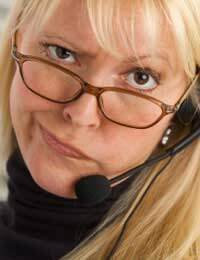 This is what is referred to as ‘Cold Calling’ – and again although not illegal – it can be somewhat irritating especially if you live in some geographical areas where the volume of ‘Cold Calls’ is quite high. Again it is not illegal for companies to purchase your name, address and telephone number from an outsourcing marketing company but there are steps you can take to reduce both the amount of so-called ‘Junk Mail’ and ‘Cold Calls’. What Can I Do To Reduce Unwanted Mail and Unsolicited Calls? There are a number of steps you can take to try and cut down on the amount of unwanted mail and unsolicited calls. The first is to contact the companies yourself and ask them to remove your name and address and telephone number from their databases. This sometimes works but – as you can imagine – depending on the amount of mail and calls you receive can take some time. You can also – when it comes to unwanted mail – write on the items of mail ‘RETURN TO SENDER’ and then place it back in the post box. Don’t worry this is not illegal and simply indicates that you do not want the mail. You should be aware that the companies receiving their mail back have to pay return postage and this can often dissuade them from sending any more. Your third option is by far the best and most likely to succeed. You should register your details with both the Telephone and Mailing Preference Services; both of these services are free and once registered your details are then placed on their databases and sent out to all companies availing of outsourcing marketing companies. This means that – under guidelines recently revised – any company having not removed your details after they have been asked to do so by either the Telephone or Mailing Preference Services may be liable to hefty fines.